Ca. 600 to 900 AD. 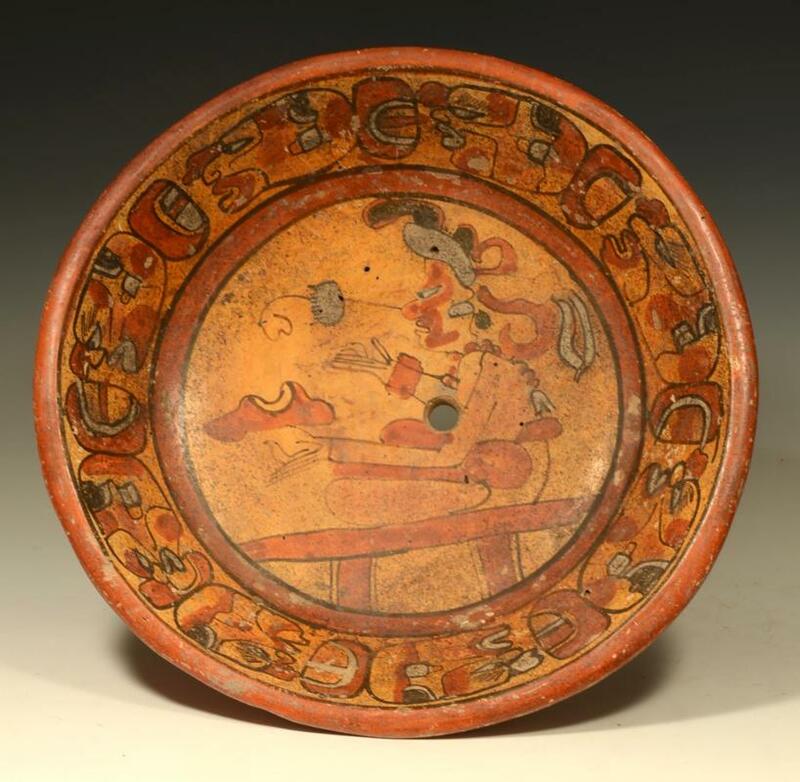 A large circular pottery dish decorated in polychrome in tondo is a Seated Lord or Scribe. Hieroglyphic inscription around rim. On three raised legs; a ritual kill hole at center. Size: 11-1/2 inch Diameter x 3 inches Height. Nice example. Leg damaged else intact. Provenance: Ex Miura Hiroshi, Old Japanese collection.